A friend asked me to guest blog for her 31 blogs in January series. I said yes a few weeks ago as we caught up for 2 hrs on the phone in a LONG overdue conversation. Then on Tuesday she texted me to see if I'd commit to Sunday. This Sunday. Like today Sunday. Well, crap, I didn't want to! And I had a million reasons to say no. 2. I had only been to the office 2 days so far since Dec 22, 2016, due to snow and holidays. 3. January is a super busy time for an accountant, especially one in management. 4. I still have employee reviews to deliver. 5. My kids are driving me crazy and everyone is stir crazy and I can't leave the house and I'm trying to reconcile excel schedules with kids just making noise and picking on each other because they don't know what else to do. 6. All the rain melted all of the snow and our gutters are frozen and so the rain dumped in and our basement started leaking, and estimate #1 says $14K to repair properly to ensure it doesn't happen again. But instead I texted back and said yes. Yes, I can write a guest post for you. Because the truth of the matter is if I don't set a deadline, I'll never have the time, there will always be things that are more important. But you know what? I want to write. I want to practice writing again. And if I would have pushed her off until next Sunday, I would have shipped it off to her Saturday night/Sunday morning at 2am, like I did in the wee hours. It was hard to write. I felt clumsy and too worded. I was sharing some personal victories and tips and waking up early, and not drinking or being on FaceBook. It was hard to press send. I didn't feel like it was good enough for her beautiful blog. I didn't feel like I had enough to offer. I felt insecure all night. Until I got a text today where she said she "loved it"! It inspired me, it reminded me. Both of my love of writing and I encouraged my self in the topics I wrote about. Articulating my "why" made a big difference for me. This morning in church, the story of Abraham and Sarah was shared. How they are really the ultimate story of faith. God made them big promises about the nations and gifts he would give them. He didn't tell the how, why, when or where! And they just dropped everything, in ultimate faith, and they went (Gen 12). But we barely get into their journey when Abraham becomes afraid and tells Sarah to act like his sister instead of his wife, and if backfires and she gets taken into the Pharaoh's Haram and Abraham gets rich from it, God shows up for them, even though they were not faithful, he gets them out of the situation and even let's them keep their riches. But can you imagine how Abraham felt? Knowing he basically gave his wife to another man out of fear, potentially giving up all the nations and the promises, out of fear. Can you imagine what a dumba$$ he felt like? And this is like 5 minutes after JUST DOING THE THING THAT REQUIRED MORE COURAGE AND FAITH THAN ANY OTHER THING. And then that is the story, the bigger story. Of Abraham and of the whole Bible, and of every story. Fear vs Faith. Which will we choose? Which will I choose. But fear...dang it. It gets us. It's at the heart of nearly every problem, weakness, sin. We make bad family, financial, relational, professional decisions because we are so afraid. The bible says fear not. Do not be afraid. I was afraid to even write that paragraph above. I'm clearly not a bible study writer or teacher. And I'm basically just paraphrasing what the paster said this morning, with much more elegance. Who do I think I am, re-telling it? THEN, when I overcame that fear, and kept typing, fear told me that people were going to judge me for being so religious, for writing about the Bible, for sharing myself or my beliefs at all. But that's just what fear wants me to do. Be silent. Fear knows that God has a plan for me, and he wants me to share myself. To feel known and seen and loved. Fear doesn't want those things at all for me. Faith though, faith wants me to be empowered and brave and trusting. Faith says that it will be the adventure of a lifetime, not a comfortable adventure, but a meaningful adventure, one where I feel loved and whole and worthy. When I think about a life free of fear, I imagine TRUE FREEDOM. So I'm going to keep my eye on the prize. I've had a few fearful days, paralyzing days, days where I felt doom and gloom seeping in. But every good story has a villain. And only because of the villain do we get to truly experience the power of God, the love of God, the goodness of God. God. Faith says he'll be there for me. When I trust Him bravely, but also when I blow it big time. In the meantime, putting myself out there is a small step. Thank you Dawn, for asking me to step out into your space, to share myself. You gave me a gift to push past fear and get back to what I love to do, which is share myself unapologetically as I write my story. It is so true. What a journey we are on! No matter how dark the night or dry the desert, one thought holds true - He will never forsake me. I know within the deepest part of my soul there is a plan much bigger than my today. So as I take one day at a time, I rest in Him knowing my mess will have a message. Get daily suggestions and methods for making THOUSANDS OF DOLLARS per day FROM HOME totally FREE. 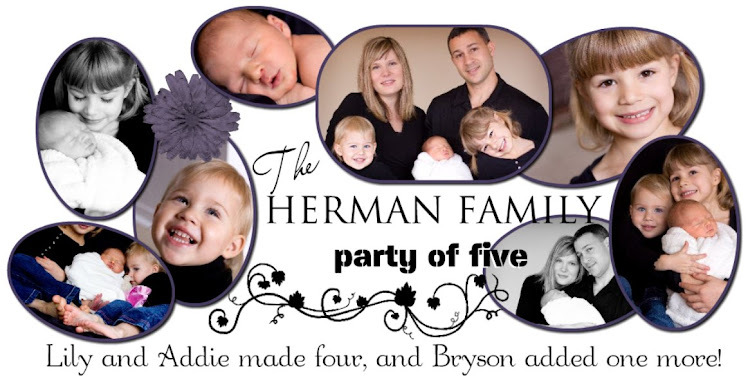 I am a 38 year old mother of 3 writing about my party of 5. I've been married for 12 years to my love, Lawrence. Our party lives in Portland, Oregon, and you know what, it doesn't rain as much as you'd think (she says at the end of August). Life is full and blessed and busy and hard and wonderful. Somedays are better than others but by looking up, diving in, and focusing on the hearts of Lily - 10, Addie - 7, and Bryson - 5 it is possible to go to bed more thankful each night than I was when we woke up that morning. My coffee broke up with me but I pressed on and we are back together again! A writer is born. My kindergartener is learning Metamorphosis. Addy & Lilly--A Whole New World! Times, they are a changin...one poopy diaper at a time!